Be sure to catch a performance, too! Will be rescheduled for sometime in April! As a dancer, your hands, arms, head and posture are like the frame around the picture. Having the right frame makes all the difference in the way your dance appears! 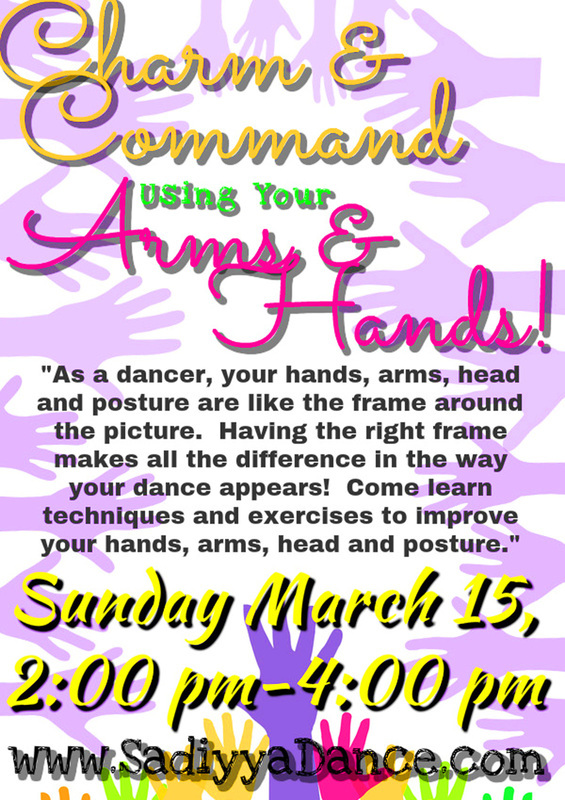 Come learn techniques and exercises to improve your hands, arms, head and posture. These tips will be easy to implement into your practice time and performances. You will leave with the tools that will take your dancing to the next level! Bring 2 hand weights, sweat towel, water and a notebook.